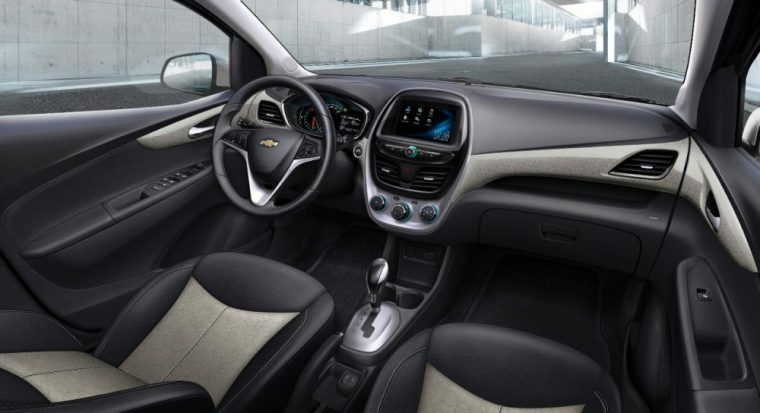 General Motors will likely look to incorporate continuously variable transmissions in future small cars in an effort to comply with 2025 fuel economy standards, Automotive News reports. Only one vehicle in General Motors’ entire portfolio is offered with a CVT—the Chevy Spark. The Spark’s CVT is supplied by Nissan Motor Company subsidiary Jatco Ltd. With regards to broader use of CVTs, Nicholson intimated that General Motors is happy with the transmission it purchases from Jatco and its performance, but did not rule out the possibility that the automaker would ultimately build its own CVT in house or co-manufacture one as part of its transmission partnership with Ford. Ford and General Motors previously worked together on the 10-speed automatic transmission that will feature in eight upcoming GM vehicles and the 2017 Ford F-150. General Motors has built its own CVT in the past, utilizing it in the Saturn Ion and Vue. The transmission was plagued by numerous problems and was scrapped in 2005. Other automakers have set about replacing automatic transmissions with CVTs on its small and mid-size cars, including Nissan and Honda. Ford has also expressed interest in revisiting the idea of using CVTs for its small cars in the future.